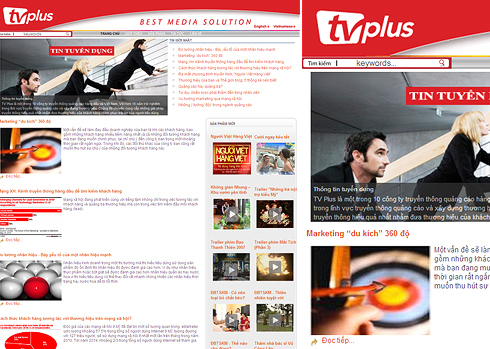 TVPlus produces and licenses copyrights of many top western TV series, game shows, talk shows and sitcoms. It has produced hit series such as Dollar & Sense and ATM (game shows), Hello New Day (talk show), Space Beauty (reality show) and Truly Healthy (sitcom). It also licenses favorite US series Desperate Housewives and Lost, Vietnamese series such as Bao Thanh Thien and top Korean series Jang Hee Bin. The company has also supplied more than 1,000 hours of airtime and media services to 200 brands. TVPlus has received several awards, including a National Golden Star Prize in 2008, and ranks among the Top 100 Leading Enterprises in Vietnam. 535 Kim Ma Street, Ba Dinh District, Hanoi, Vietnam.